This rare and highly coveted Vince Lombardi hand written and signed personal check was recently discovered, authenticated and encapsulated (August of 2018). This treasure is one in a collection of 68 checks that will be offered in this auction, each of which is being offered in a separate lot throughout the auction. Most signed Lombardi checks that you will see are the Green Bay Packers business checks that are written by someone else and signed by Lombardi. 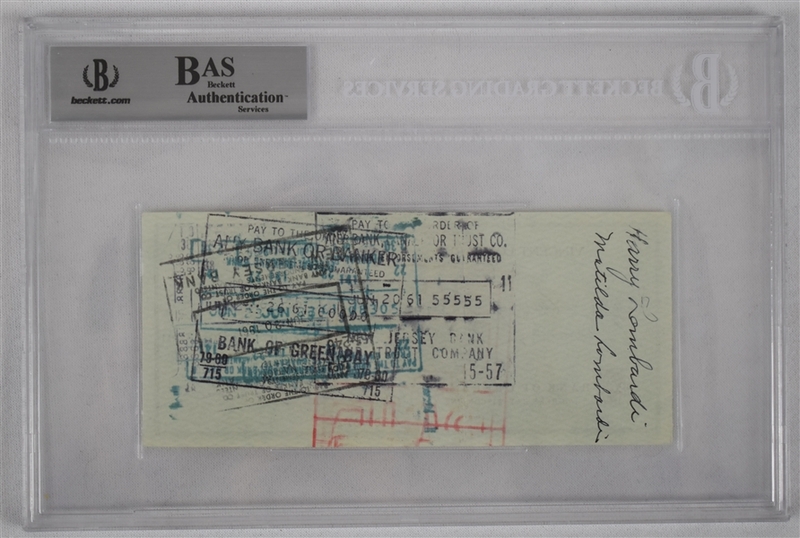 These checks being offered now are unique and highly desirable because they are entirely hand written by Vince Lombardi himself from his own personal account. 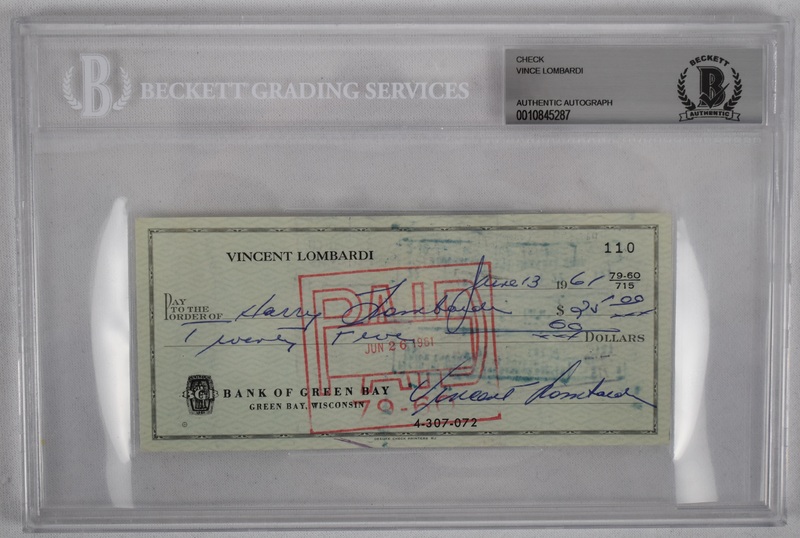 Vince Lombardi checks have really sky rocketed in value over the last several years but these rare personal checks have been virtually non-existent until now. This is a sure-fire must have investment for football and/or check collectors. Impeccable provenance on this check written and signed by Vince Lombardi from his own personal checking account. The check has been authenticated, encapsulated and graded by BGS/Beckett Grading Services. Vince made this check out to Harry Lombardi meaning that he signed his surname Lombardi twice.